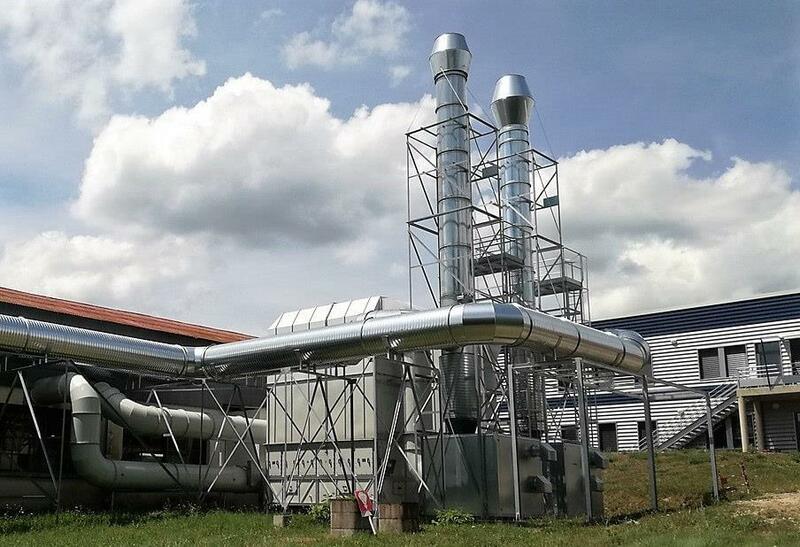 The separation of the submicronic particles provides for an extremely low oil content in the air emissions, with the complete elimination of the typical chimney "plume". With regard to the filtration of oil mists generated by hot brass forging and thermal processes, we are able to guarantee emissions with an oil content of less than 5 mg/Nm3. With regard to the filtration of oil mists generated by machine tool processing and/or cold metal deformation, we are able to guarantee emissions with an oil content of less than 2 mg/Nm3 (expected value of less than 1 mg/Nm3). With regard to the filtration of oil mists generated by the moulding and post-vulcanization treatment of rubber, we are able to guarantee emissions with a dust, plasticiser and phthalate content of less than 5 mg/Nm3. All the emission values measured by our customers have proven to be well below the guaranteed values. The functionality of the two filtration stages is monitored by differential pressure gauges, which indicate the relative operating conditions. One of the most essential characteristics of SO.TEC's coalescing filters is the durability of their filter elements, which maintain their functional performance with no need for maintenance operations. All the Super-compact systems are customized to meet the customer's specific needs. Are you interested in our products? Contact us immediately!